Events | "A Song Every Day"
Posted on September 14, 2018 by vspatz	in Beer Lahai Roi, Events, music, racism and tagged Ari Roth, Gayle F. Wald, Marie and Rosetta, Miami Temple, Mosaic Theater Company of DC, Rosetta Tharpe. “The Jews from Miami Beach would come to our church every Sunday night to hear [Rosetta] sing. It would be packed with winter Jews [vacationers from up north]…. They came in droves to our church. Buses and limousines. They didn’t mind parking in the ghetto for that. They weren’t afraid. In the 1930s, Reverend Amaziah Cohen, founder of Miami Temple Church of God (now A.M. Cohen Temple), had begun broadcasting services featuring singing and guitar playing of Rosetta Tharpe. More on Rosetta Tharpe and Marie Knight, including musical clips. 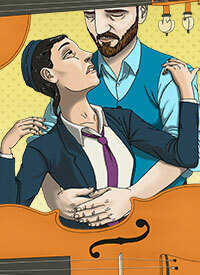 “Marie and Rosetta” runs at Mosaic Theater Company of DC through September 30. The character of Rosetta, in “Marie and Rosetta” as performed at Mosaic Theater, does not mention Jews when she tells of white people and their coins. ** For people like Zeola Jones, however, these scenes are part of their picture of Jews. This and so many scenes like it — with charitable behavior never quite making up for the egregious disrespect shown in other ways — are a part of the history that Jewish and Black communities today share, whether we acknowledge this or not. There are wider and deeper issues highlighted by this story and some other aspects of “Marie and Rosetta,” too: how outsiders — Jews and non-Jews — visit black communities to view entertainment and cultural expressions, for example. How pain specific to Jewish and Black communities is expressed in art, if/how it can be shared, and what we can learn from singing and performing together and apart. If we are to use the model of Isaac and Ishmael, living side-by-side at Beer Lahoi Roi, as a model of Black and Jewish communities “renewing cousinship,” we have a lot to explore on this score. For more on this, read Gayle Wald, Shout, Sister, Shout! : The Untold Story of Rock-and-Roll Trailblazer Sister Rosetta Tharpe (Boston: Beacon Press, 2007). Gayle F. Wald is a professor at George Washington University and the author of Shout, Sister, Shout! : The Untold Story of Rock-and-Roll Trailblazer Sister Rosetta Tharpe and It’s Been Beautiful: Soul! and Black Power TV. She was a consultant for the film “Godmother of Rock and Roll.” Wald lives in Washington, DC. Follow her on Twitter at @gaylewald. 7 – 8 p.m. Sunday September 16. **I have not see the play in print, and it is possible I missed this reference in performance; if someone knows different, please advise. Posted on December 19, 2014 by vspatz	in candle lighting, Chanukah, Ethics, Events and tagged #blacklivesmatter #chanukahaction. How is Chanukah kindling hope for you and others this season? It was Rekia Boyd whom I chose to memorialize at the the 4-1/2-hour die-in in front of the USDOJ on December 8, organized to promote human rights for black and brown people in the U.S. While I never knew her, she is forever in my heart (and inspired this prayer). and collective commitment to change. You may contact the Department of Justice at: 202-353-1555 or by email at AskDOJ@usdoj.gov. Here is the full Action Toolkit (PDF). 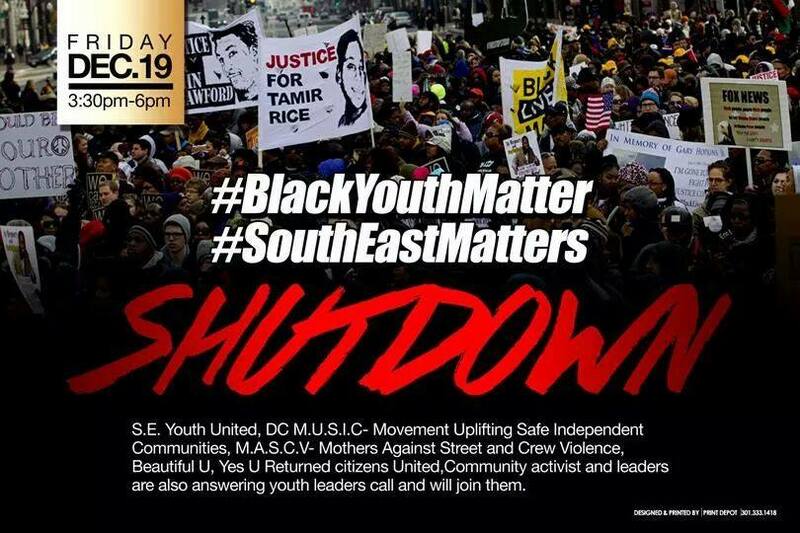 I am taking this action in advance of tonight’s 4th candle in order to enjoy Shabbat when it comes in this evening, right after Chanukah candle-lighting, and to allow for my participation in the local #BlackYouthMatter #SouthEastMatters action just across the river from my DC home. May the light of our candles and actions help bring about a new way of seeing, in our own lives and in the country. Posted on August 5, 2010 by vspatz	in Events and tagged Elul, Rosh Chodesh, Women of the Wall. Women of the Wall, or Nashot Hakotel נשות הכותל in Hebrew, is a group of Jewish women from around the world who strive to achieve the right, as women, to wear prayer shawls, pray and read from the Torah collectively and out loud at the Western Wall (Kotel) in Jerusalem, Israel. The Western Wall is Judaism’s most sacred holy site and the principal symbol of Jewish people-hood and sovereignty and Women of the Wall works to make it a holy site where women can pray freely. WOW chose Rosh Hodesh as the day to gather as a women’s prayer group and celebrate, through prayer at the Wall and reading the special portion for Rosh Hodesh from the Torah scroll. A non-denominational group of women and men will be gathering in Washington, DC, on August 11, for Rosh Hodesh Elul in solidarity with WOW and to begin our own journeys toward the new year. Like the services held by Women of the Wall in Jerusalem, the DC service will accommodate participants from across the Jewish spectrum. While women will lead services, men are encouraged to come. Please bring a tallit and a siddur, if you are able to do so. A number of people have asked, so: Yes, we will blow shofar, as is traditional throughout Elul, beginning on the second day of Rosh Hodesh. Posted on June 15, 2009 by vspatz	in Events, Gender, prayer and tagged inter-denominational dialogue, prayer, women. Are you interested in an interdenominational exploration of Jewish prayer, especially Jewish women’s prayers?